When it comes to stocking up on stylish pieces for the season, we know that we can always count on Anthropologie. With so many chic brands floating the racks, the Shop With Us team is currently obsessing over Cloth & Stone. Known for creating easy to wear pieces, Cloth & Stone will give your closet a fall-ready update. Ready to add a few super cool finds to your arsenal? Scroll down for our favorite picks to rule the chilly season in style. You can never go wrong with adding a button-down to your collection. Versatile in nature, this top features a relaxed silhouette that will pair seamlessly with your wardrobe. If playing with color is your forte, then you’ve met your match with this pullover. 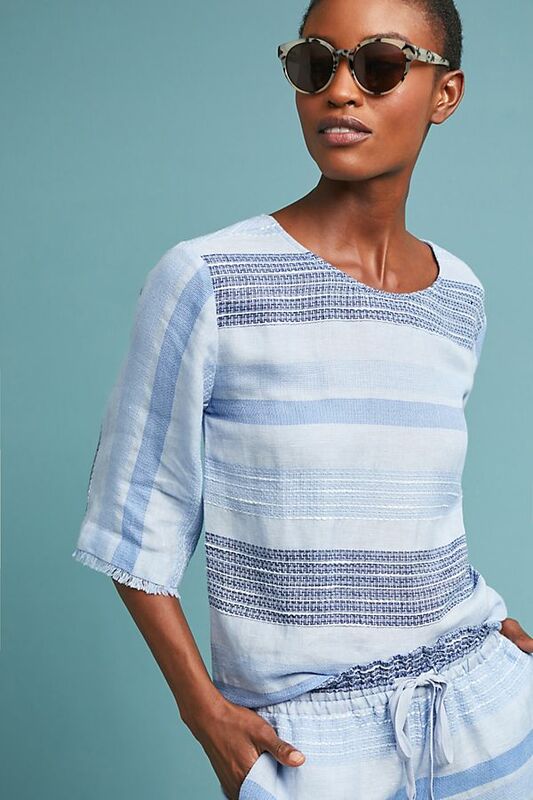 Designed with subtle fringe along the hemline and sleeves, this piece will have you looking stylishly blue. Bring your relaxed chic style to life with this cozy number. Its drawstring waist nips you in to highlight your curves for a flattering look. 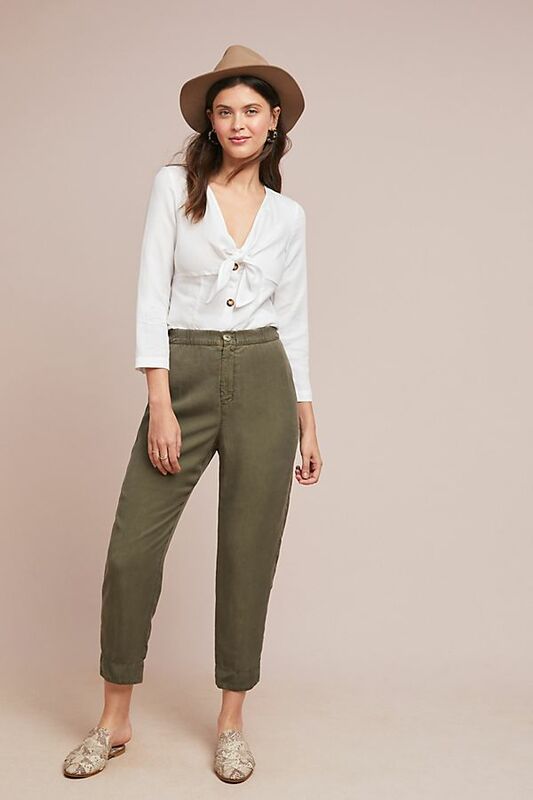 The perfect way to give your tried-and-true denim jeans a break, these trousers are as comfy as they are stylish. Step out with a crisp button-down and flats or switch it up with a cardigan, tank and mules for a no-fuss ensemble. Give your closet a comfy, yet stylish touch with this cotton blend jumpsuit. Made with an attached belt to highlight your waist, this figure-hugging garment will become your new favorite transitional piece. Available in a slimming black hue with all sizes, give your LBD a rest with this fabulous find.